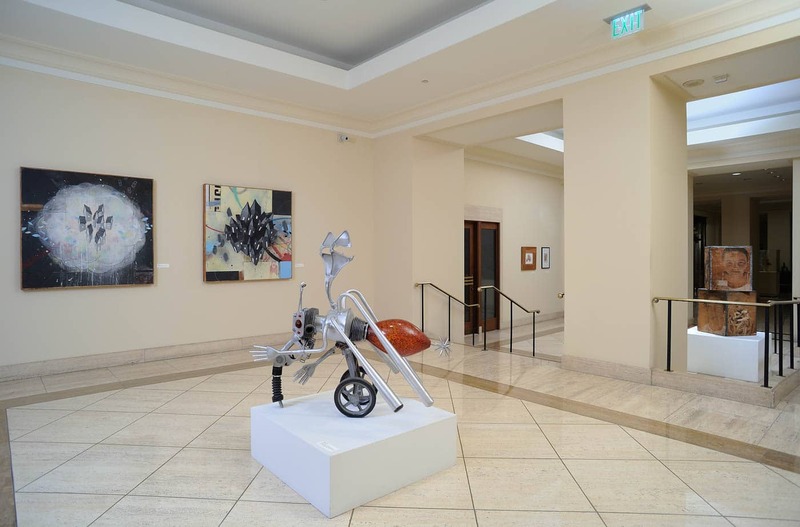 Jan 8, 2015 In: Exhibitions By: ArtSource Inc. Since 2002, Artsource Consulting has curated exhibitions for the lobby level of this San Francisco landmark. 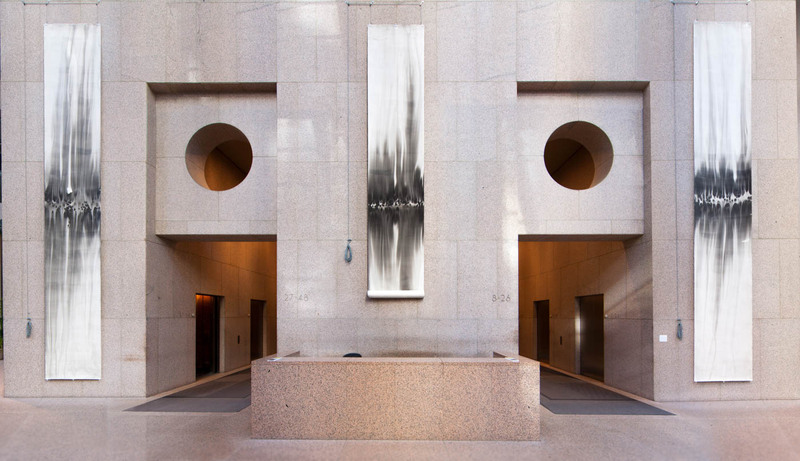 101 California was designed by architects Philip Johnson and John Burgee to be instantly identifiable at both street and skyline levels. 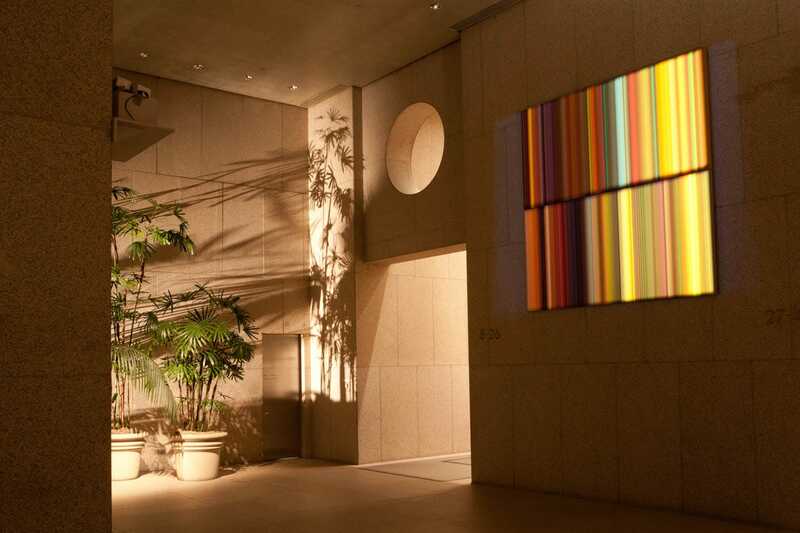 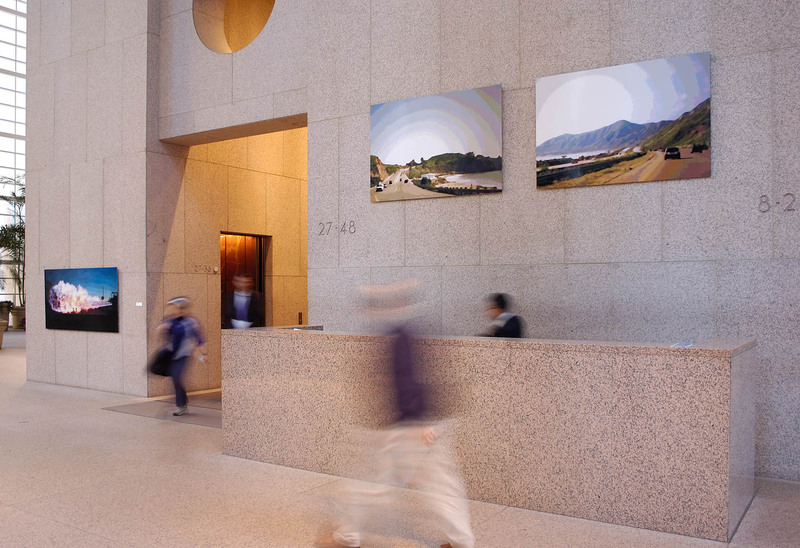 The unique California Street lobby’s atrium design allows for the art installations to be seen from the courtyard, integrating the exhibits into the plan of the architecture. 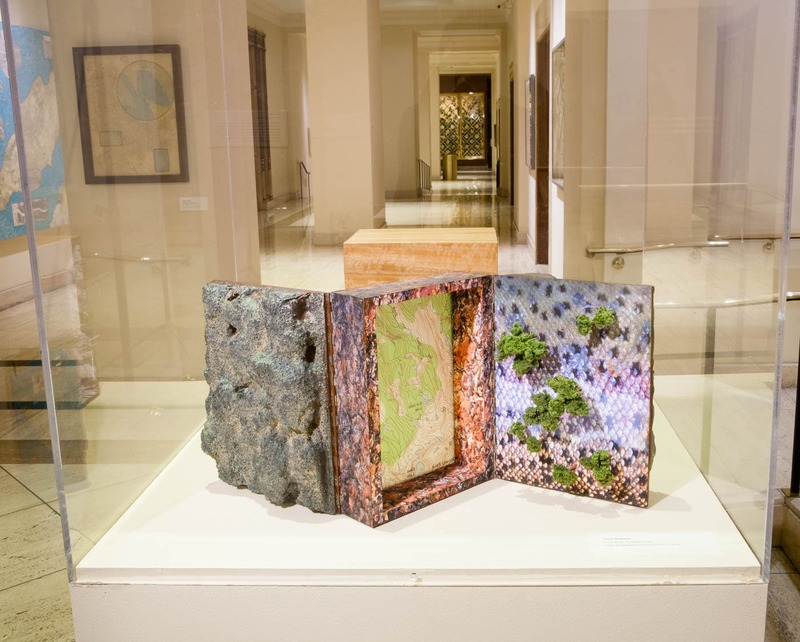 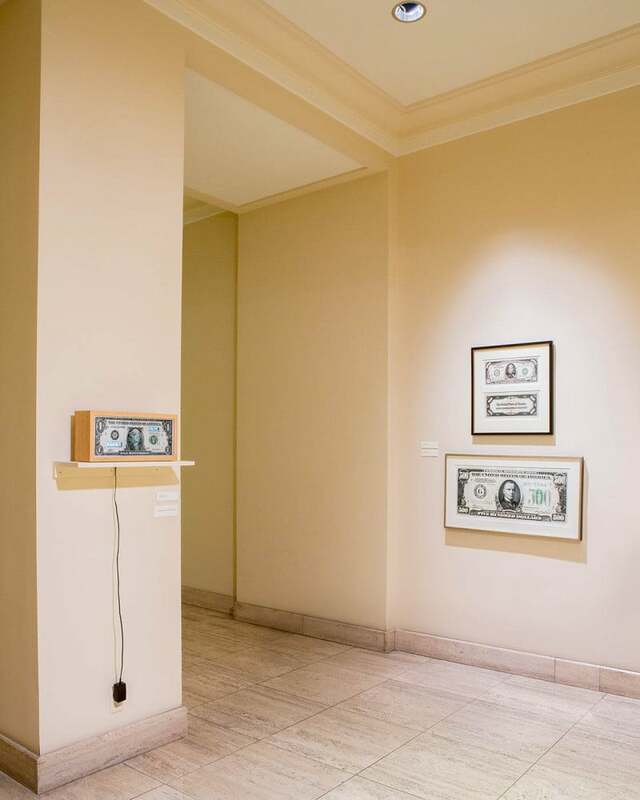 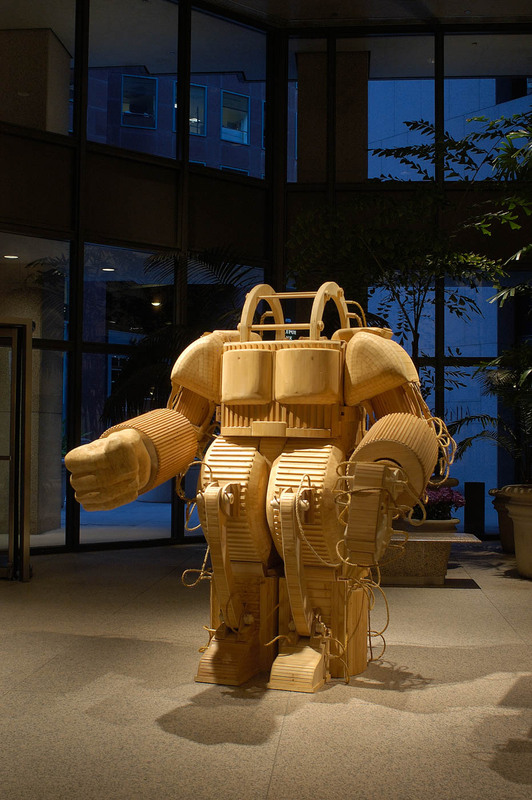 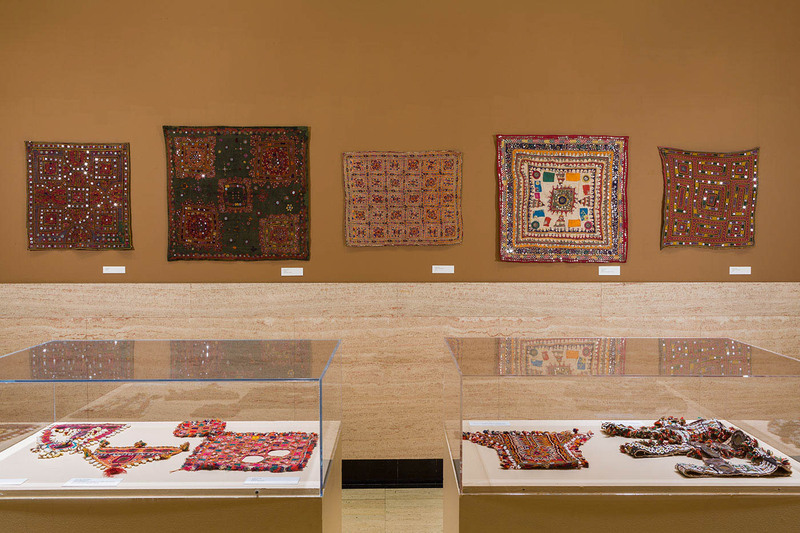 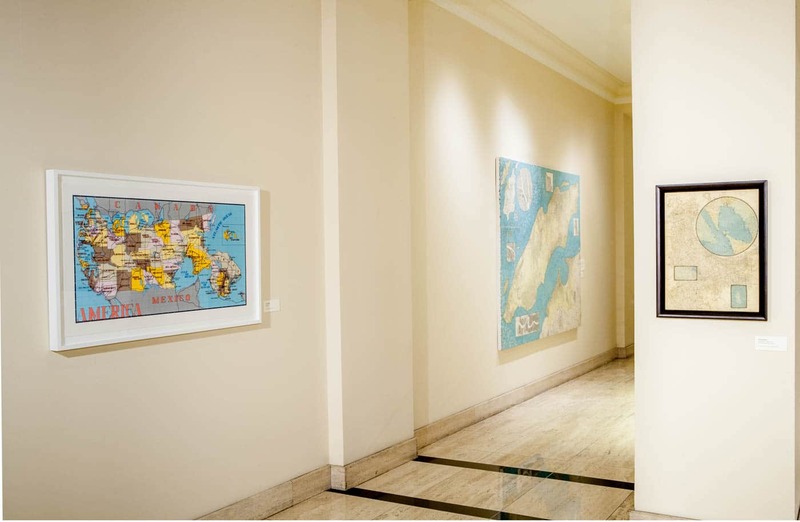 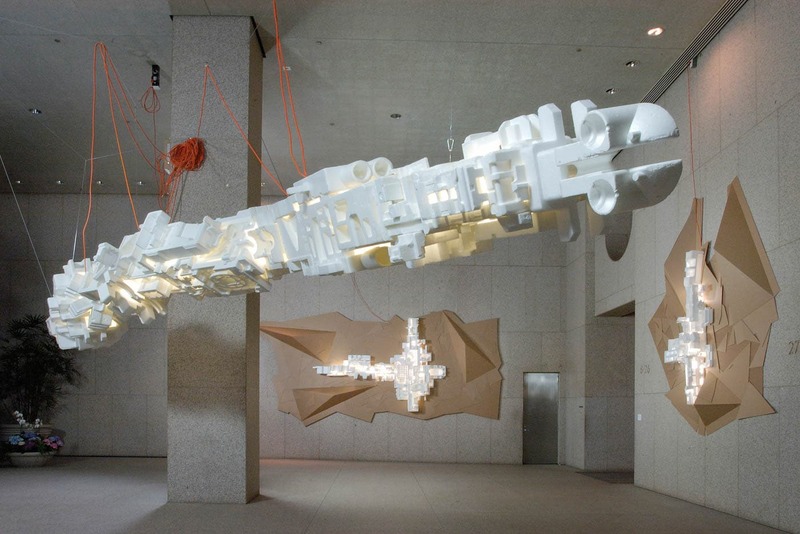 Artists from all over the country are selected to exhibit works that are large-scale and installation-based, giving visitors the opportunity to see museum-quality installations in a public setting. 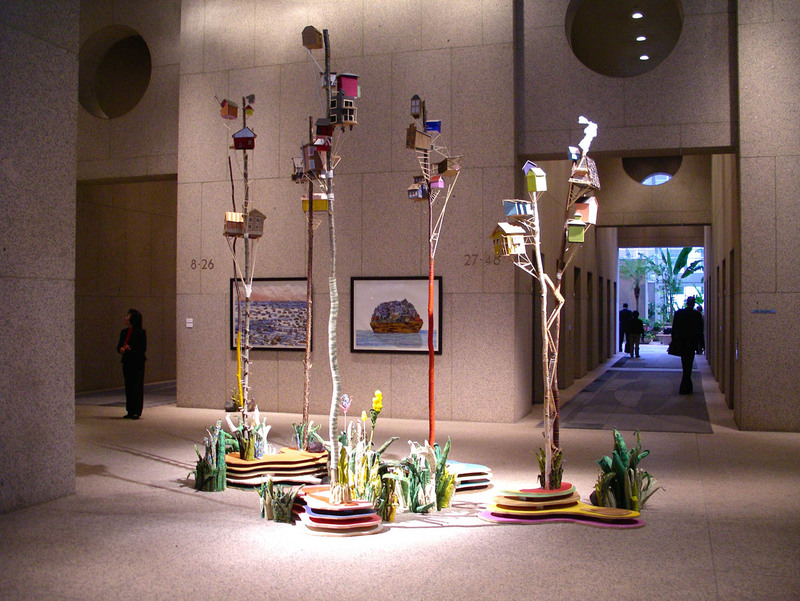 Two or three artists are featured at a time, allowing them to address the unique architectural characteristics of the building. 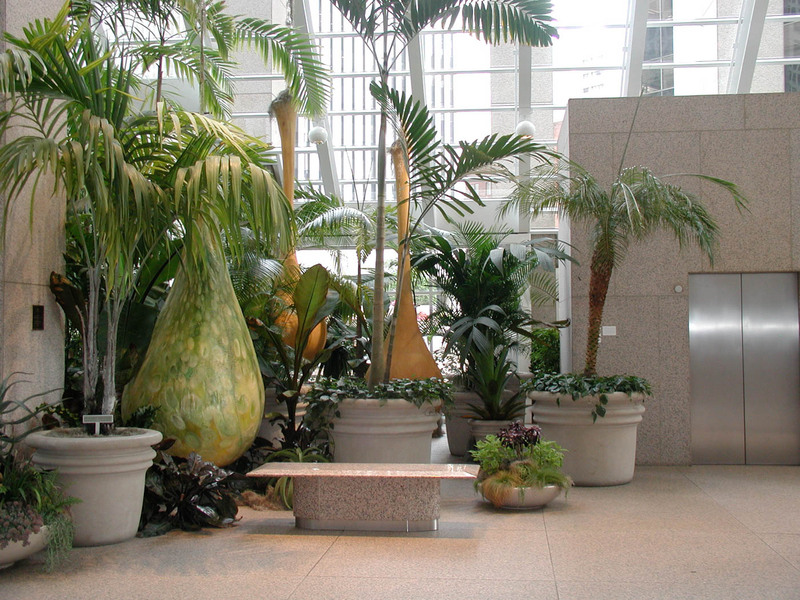 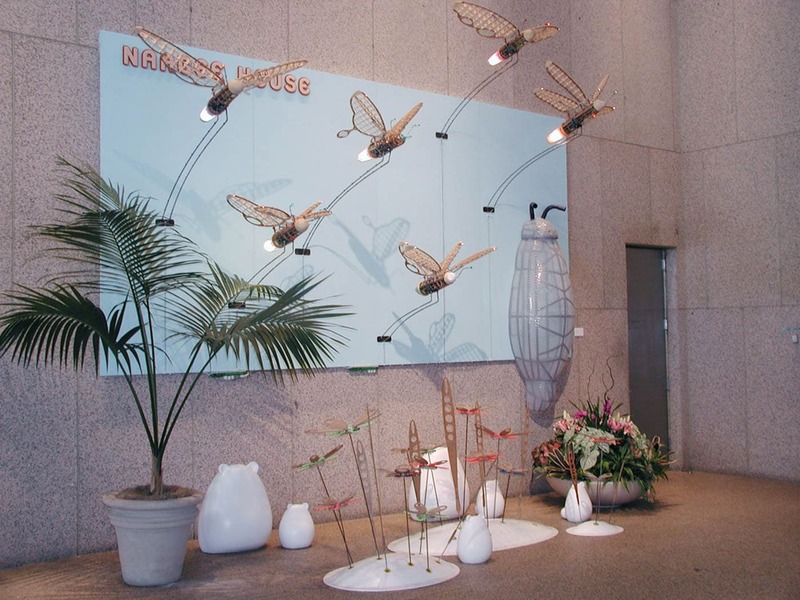 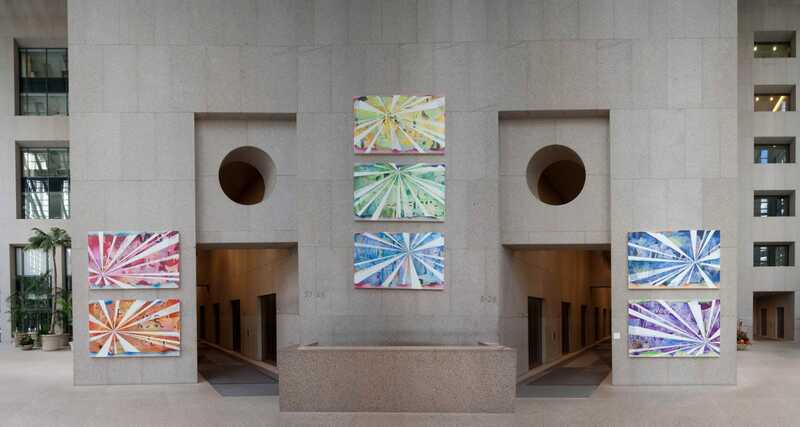 In 1992, Artsource Consulting developed an exhibition program for the Swig Company that partners the Mills Building with cultural institutions and museums. 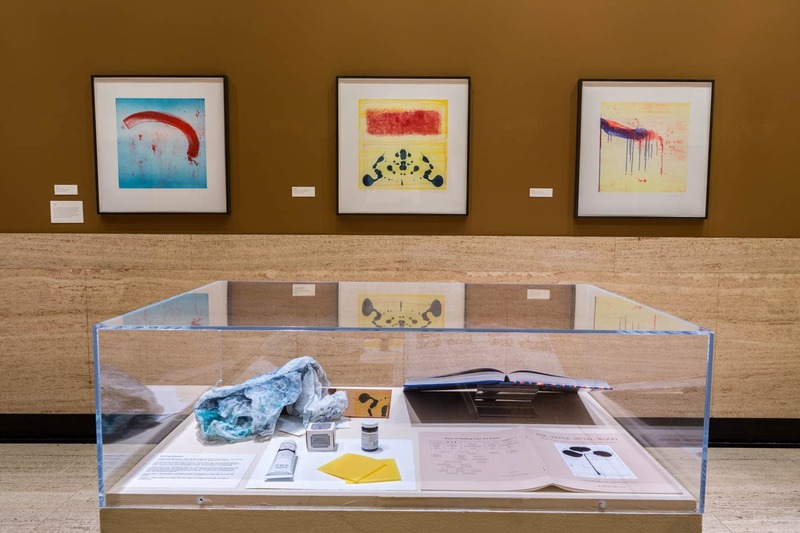 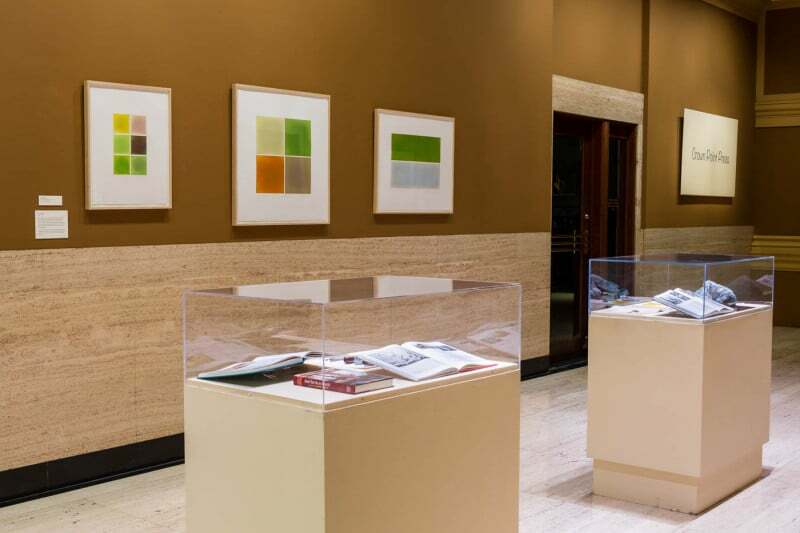 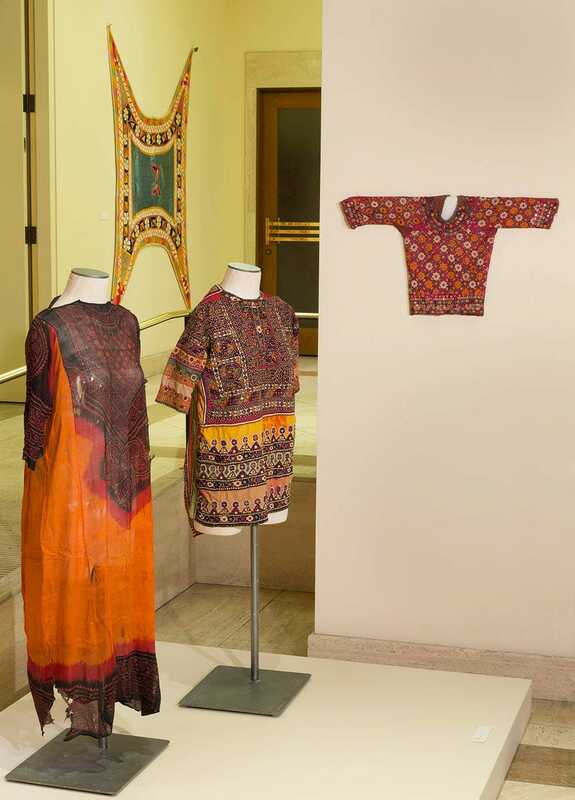 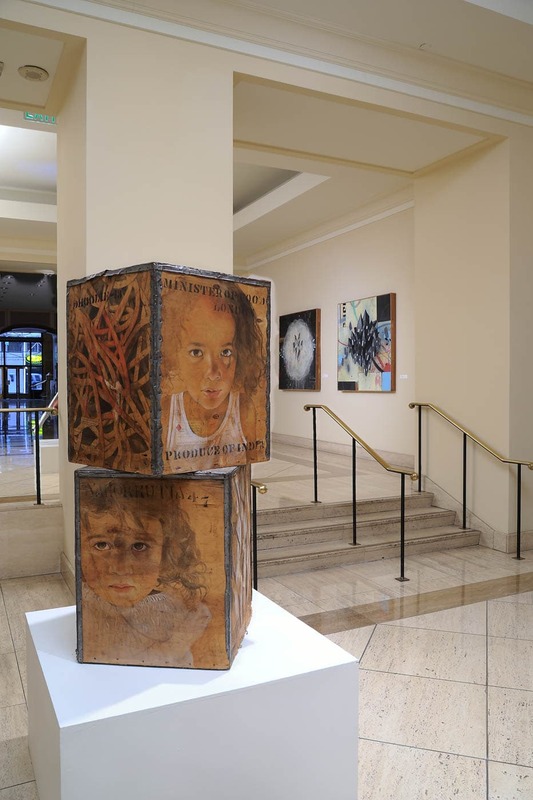 The rotating exhibition program brings the arts into the Mills Building’s business environment, while providing a window into the artistic and cultural organizations of the Bay Area. 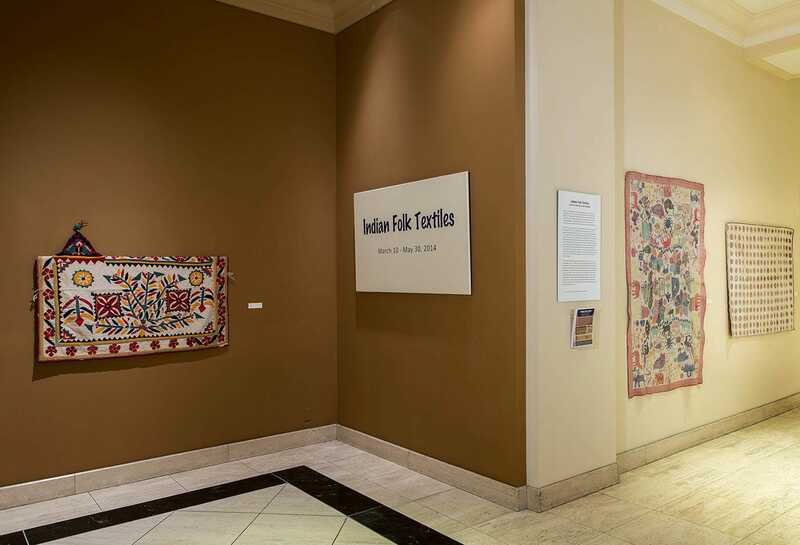 The intent of these exhibitions is to build bridges of understanding between business and cultural communities.